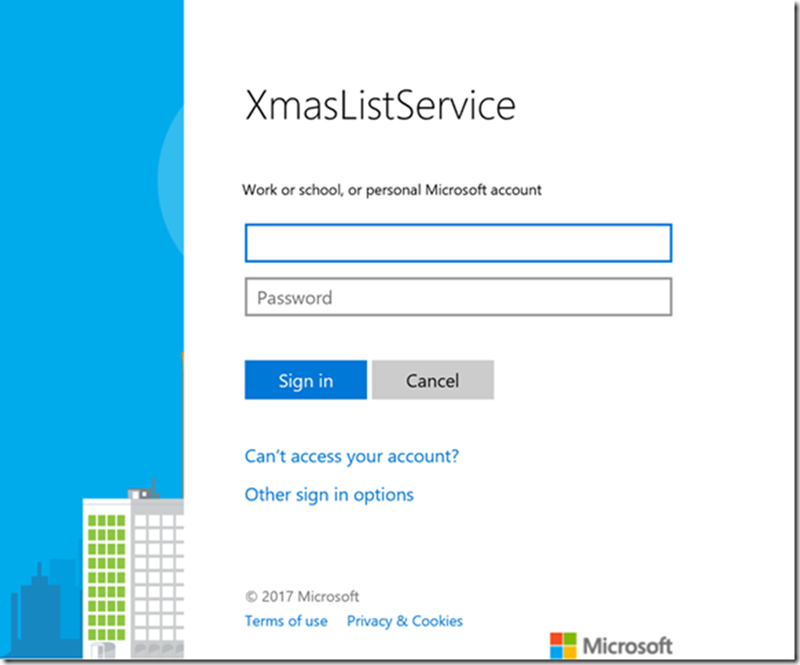 This is a follow up to my Microsoft Ignite 2017 session NET332. 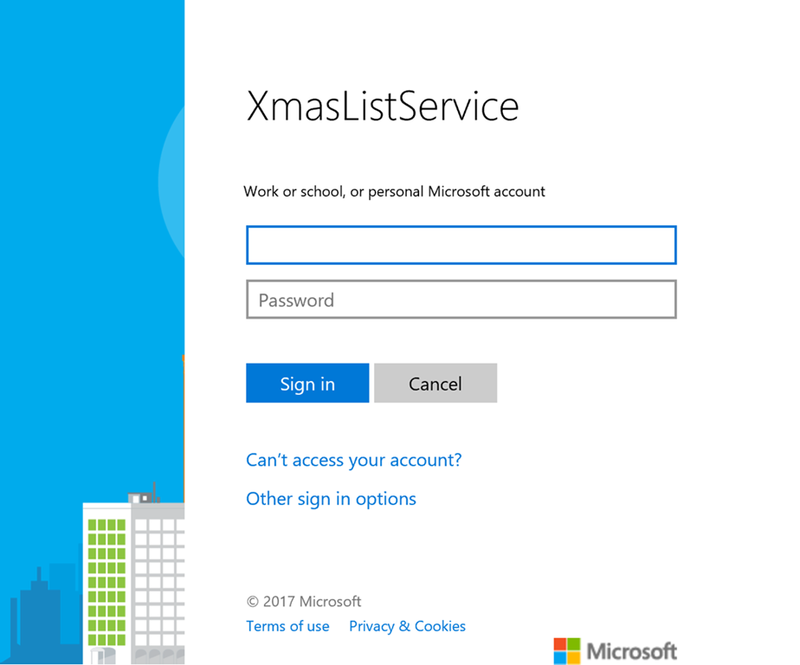 The primary purpose of the session was to demonstrate the ease in which an application with no identity management capabilities could leverage both the Active Directory Authentication Library (ADAL) and the new Microsoft Authentication Library (MSAL) to add authentication functionality to your apps. Since the resulting code for working with both authentication libraries is what’s important here, please check in at GitHub to grab the final results. The original application is included in the master branch and the ADAL and MSAL conversions are checked into their own distinct branches. We start our journey with a simple Christmas List application which has no concept of formal identity besides a drop down box to choose whose list we are working on. From here we have two destinations. 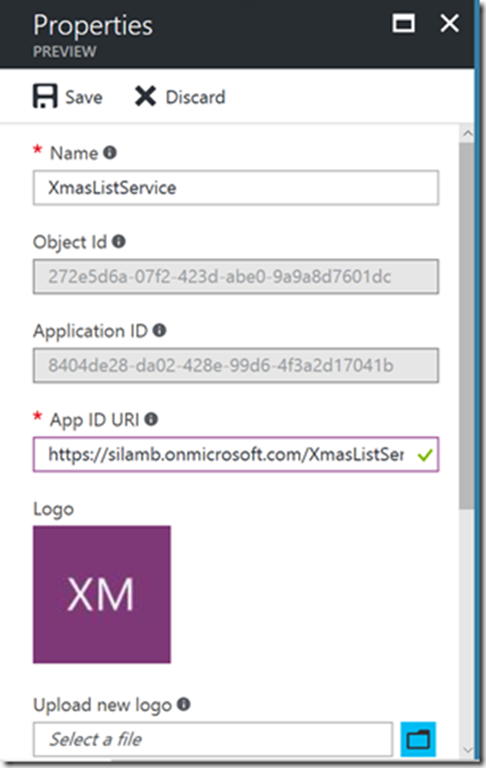 The first is to demonstrate the addition of ADAL to incorporate authentication to an Azure AD tenant and the second is to use MSAL to leverage both Azure AD and Microsoft Accounts. In order to understand how we would choose between these two implementations, we need to understand a little bit about the two eco-systems. Up until recently the authentication endpoints supported only accounts from Azure Active Directory but at Build 2016 the new converged authentication API was introduced to also support Microsoft Accounts. Before this authentication system was released, application developers were required to register two applications, use two separate authentication libraries and connect to two unique endpoints if there was a requirement to support both AAD and MSA. There are documented differences between the two endpoints and the two authentication libraries presented in this article demonstrate unique approaches to using these distinct endpoints. 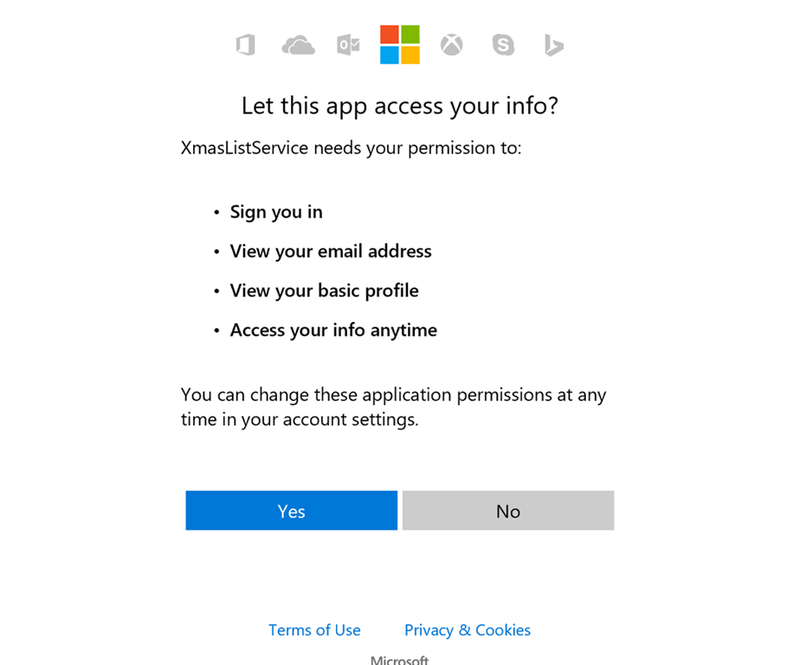 If you want to support personal Microsoft accounts in your application, use the v2.0 endpoint. Before you do, be sure that you understand the limitations that we discuss in this article, especially those that apply to work and school accounts. If your application needs to support only work and school accounts, use the original Azure AD endpoints. Empowered with that information, let’s now take a look at using ADAL against the V1 endpoints and MSAL against the new converged V2 APIs. 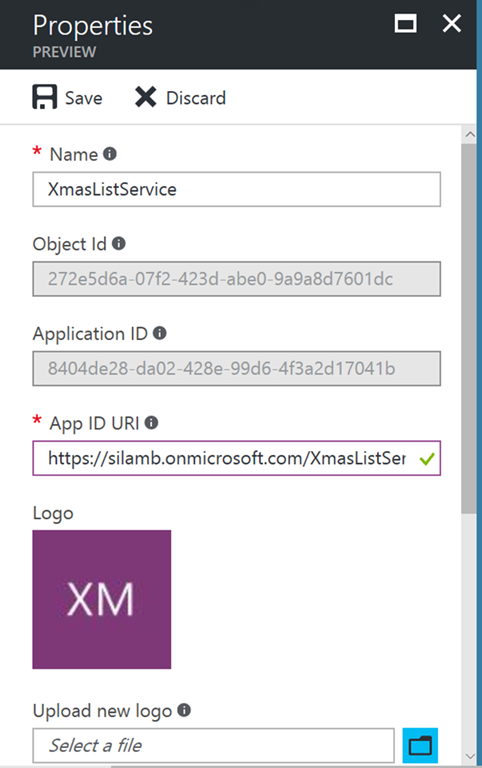 Looking at the master branch the original API has a REST method for retrieving the currently assigned gifts and one to add a new gift to the list. /// Retrieve a list of gifts for an authenticated giftee. // which contains an immutable, unique identifier for the user. /// Add a gift to the list for an authenticated giftee. 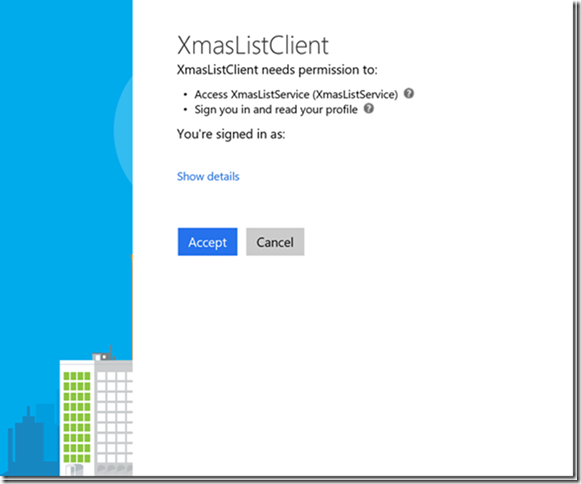 Once this has been created, open the properties and update Web.Config. The tenant and audience should be the tenant name and the App ID URI respectively. 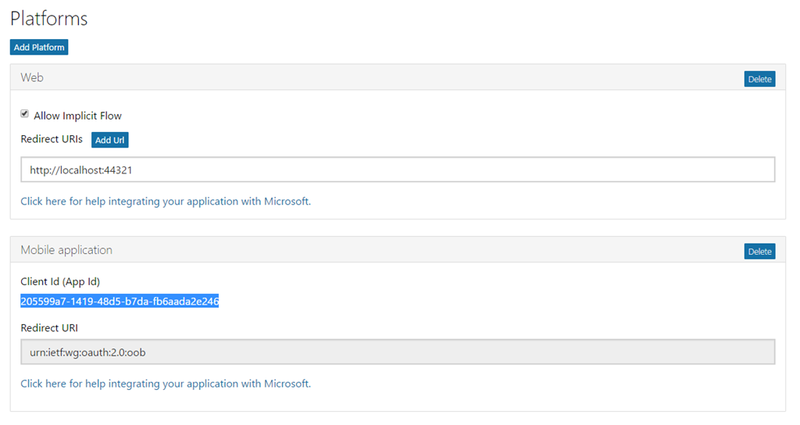 // The Tenant is the name of the Azure AD tenant in which this application is registered. 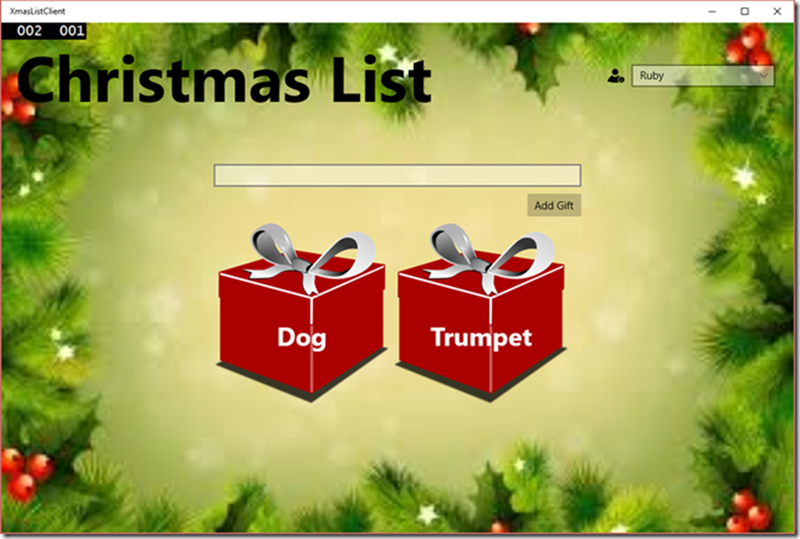 The sample code has a modified MainPage.xaml and MainPage.xaml.cs that replaces the ComboBox with a TextBox and button to initiate the login and show the result. This msapp:// style URI should be then added as a redirect URI to the newly created application. 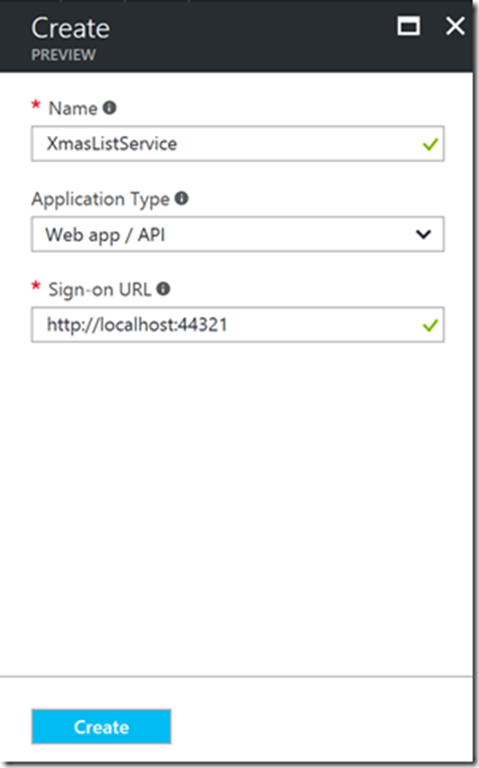 Create a new App Registration for the Web API and update Web.Config with the settings. Update the client to use ADAL and modify the UI to login rather than use the ComboBox control. 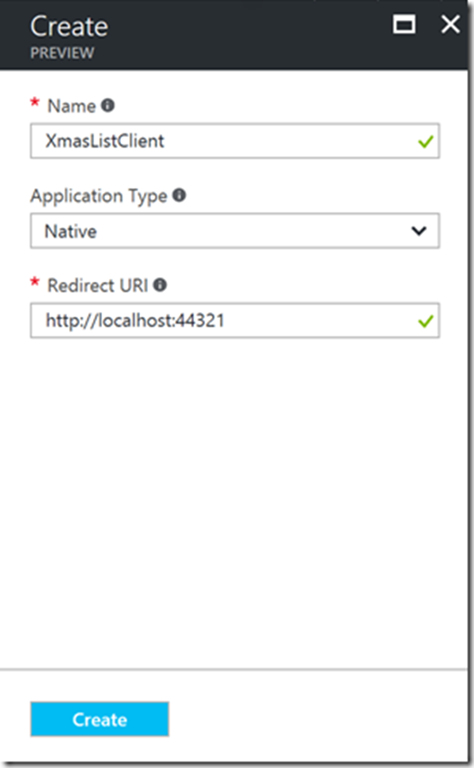 Create a new App Registration for the Native client and update its return URL with the special callback URI. 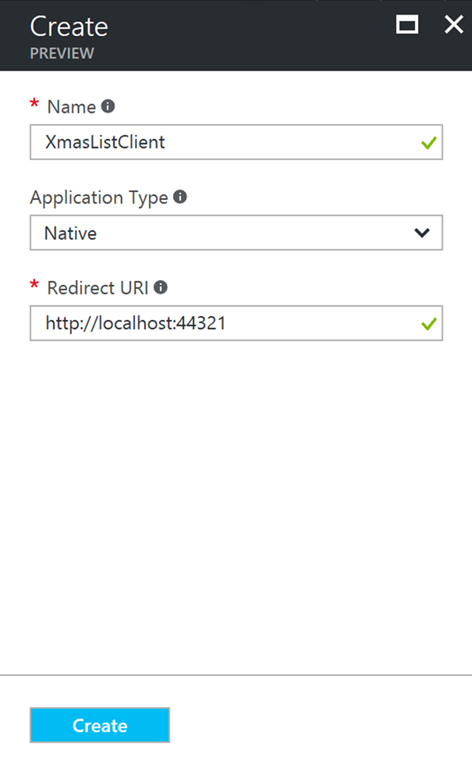 Update the client application with the settings from the new Native Client App Registration and add the authentication logic that was included with the sample. The initialisation logic requires a special class which is available from several repositories such as this one and this class needs to be added to the project as well. As this application will use the new converged API experience we need to register it in the new Application Registration Portal. 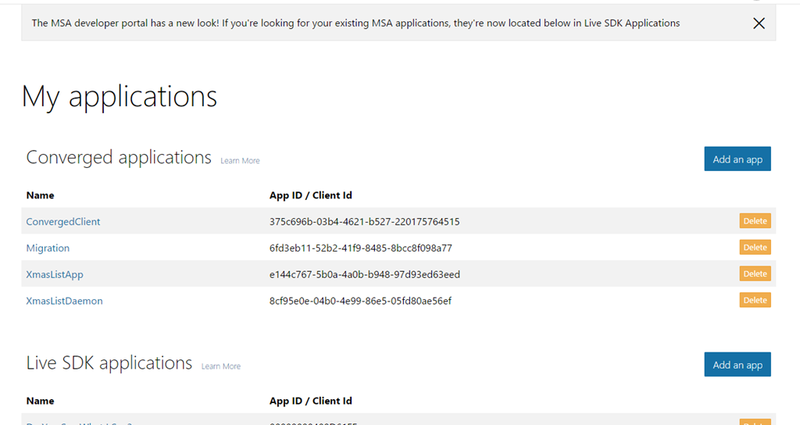 In this portal you can see any old Live SDK registrations as well as any applications using the V2 endpoints. Add an application and create both a Web platform for the API and a Mobile application (It seems if it’s not web its mobile!) to represent the Native client. 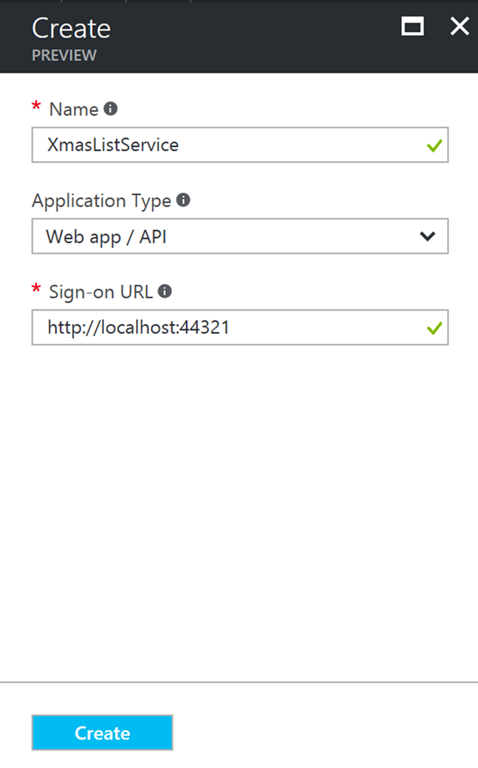 Create a new App Registration in the new apps.dev portal and add a platform for both the Web API and the Native application. 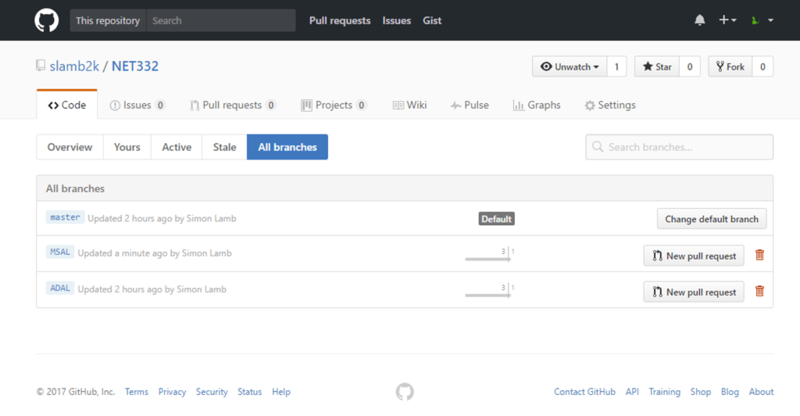 Update Web.Config with the Application ID. Update the client to use MSAL and modify the UI to login rather than use the ComboBox control. 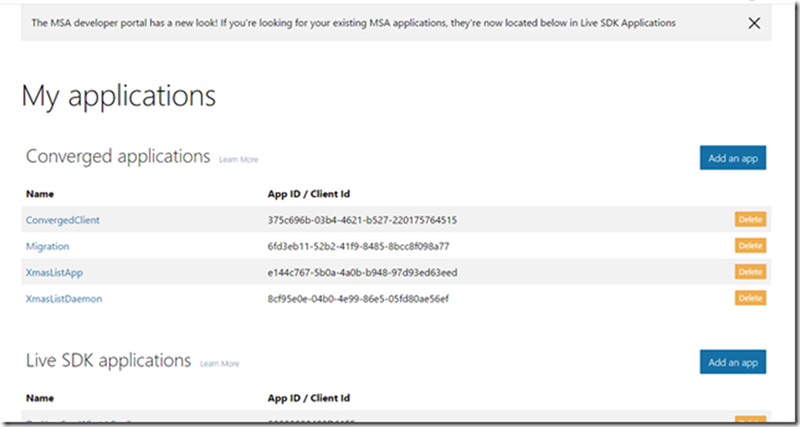 Update the client application with the Client ID from the new Native Client platform and add the authentication logic that was included with the sample. Over time the limitations should be removed and the V2 endpoint should become the sole API for authentication so think carefully about whether it is right for you.